...She had acquired a love and sympathy for humanity and an affectionate understanding...which influenced her whole life. Eleanor on the cover of "Once a Week" magazine. Eleanor Garnier Hewitt, nicknamed "Miss Nellie," was born in 1864 in the family's New York home at 9 Lexington Avenue. 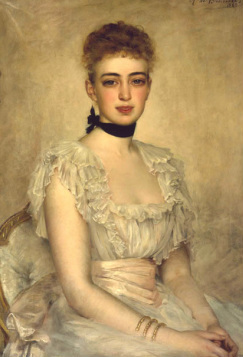 As a young girl, Eleanor was popular in general society and was known for her affectionate and generous disposition. It was said that the girl was very close with both her father and grandfather Peter Cooper, whose influence enhanced her devotion to education. Eleanor was always up and dressed early, ready for her daily studies. Although she and her sisters did not attend a formal college, they were tutored privately in their home and during trips to Europe. Eleanor was enthralled with history, the arts, and the French language. She was taught two hours of French each day, which showed as she flawlessly spoke the language. In her youth, she was also known to be a talented dancer. Her sister, Sarah, would often describe Eleanor as having danced through a pair of slippers in a single night. Nellie's other athletic hobbies included gymnastics, rowing, canoeing, sailing, riding, and mountain climbing. Like her sister Sarah Cooper, she was among the pioneers of women athletes. Image courtesy of Cooper-Hewitt National Design Museum. Possessing an appreciation for the arts from an early age, Eleanor developed an uncanny interest in textiles. However, it was not just textiles that caught her attention. Along with her sister, Sarah, the young women shared a passion for traveling abroad to acquire rare and unique decorative objects. Eleanor indeed had a "good eye" for buying different pieces because she knew quality when she saw it. As adults, she and her sister Sarah traveled every summer on collecting expeditions in France, Italy, and Switzerland. Since Eleanor had instruction in drawing, music, and poetry, her travel journals were filled with sketches of buildings, gardens, facades, and landscapes-- anything that caught her eye. These were often accompanied by notations in English or French. Female art students at Cooper Union. Image courtesy of Cooper Union. Eleanor loved the arts, but she also had a passion for education that her grandfather, Peter Cooper, inspired. 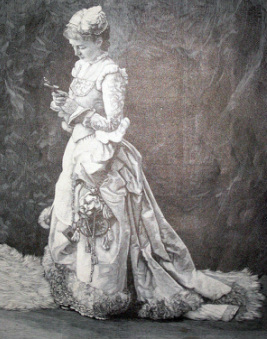 This influenced her desire later in life to organize a museum and collection of various "objects d'art" that would be available to the public to view. With the help of her sisters, Amelia and Sarah, she developed the "Museum for the Arts & Decoration at Cooper Union," which opened informally in 1895. It was located in a gallery on the fourth floor of Cooper Union in New York City, which housed all the sisters' travel collections. The purpose of the museum was to make fine and decorative art pieces accessible to students, scholars, and collectors. Eleanor and Sarah were hands-on in daily museum work. They would arrive early and plunge into the filing, pasting of pictures, and any other task that would be inspirational to designers and students. The museum collection was later moved to the Carnegie residence in New York City and is now the Cooper-Hewitt National Design Museum. Eleanor's belief in the necessity of studying art, combined with her knowledge of the development of styles in architecture, decoration, and furniture, led her to write The Making of A Modern Museum in 1919. 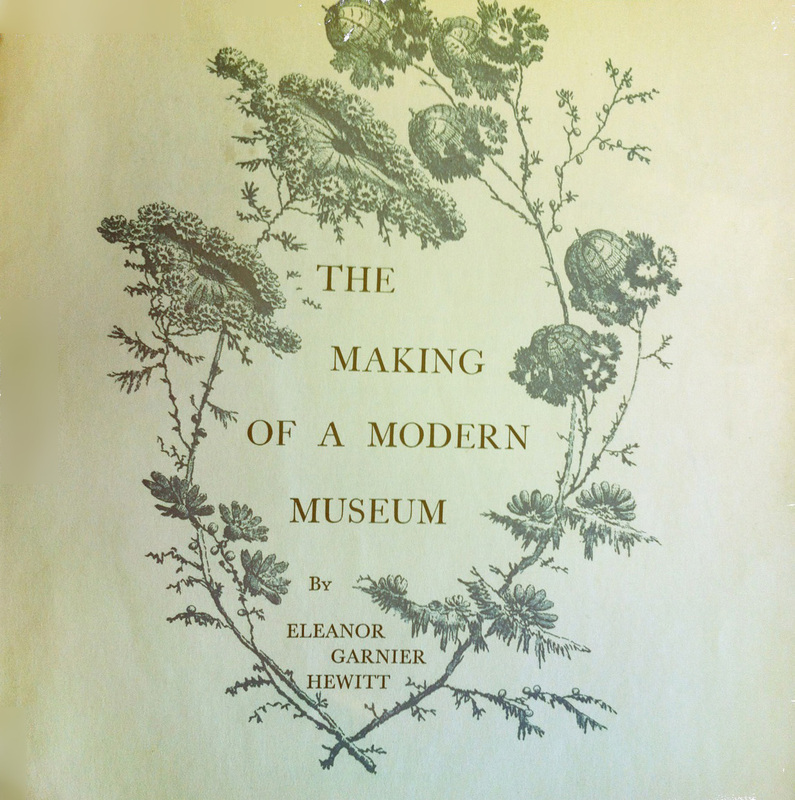 The cover of Eleanor Hewitt's book. After her parents' deaths, Eleanor, along with her sister Sarah, ran the household duties at the Lexington Avenue home and the Ringwood Manor estate. Like her mother, Eleanor learned to appreciate the beauty of proportion and color, which naturally led her to be involved with the gardens and grounds at Ringwood. Yet again influenced by the formal gardens she had seen during her travels to Europe, Eleanor greatly developed the gardens, landscapes, and vistas that Mrs. Hewitt had begun. "To tell the noble thoughts, the lovely ways, the good deeds of this lady, dead too soon, were but to praise what is beyond all praise, and break the quiet of that afternoon, when she who never rested, lies at rest. Her works, and not our words shall praise her best."